Someday Extraordinary . . .: Shyp in Chicago! Obviously, there is a premium for the service ($5 per package), but depending on your situation, it could be well worth the inconvenience factor. -Process is key if you want uniformity throughout your company. Mr. Gibbons gave an example with Uber, where in some cities, the drivers ALWAYS call to see where you are, whereas in other cities, they go to the location submitted without a call. While this may seem trivial, Mr. Gibbons mentioned that the lack of consistency can be frustrating to the customer. In this day in age, it is all about convenience. -Shyp recently decided to convert all of its drivers to W2 employees, meaning they are Shyp employees and not contracted out. This gives the company more control over pickups, allows for better training of drivers, and creates a more engaged workforce. He found that customers often had a number of questions for the drivers, and with the driver being a trained Shyp employee, the questions could be better answered. An engaged work force is more important than the possible additional cost of no contracting out the work. -Managing growth is difficult. Mr. Gibbons believes that some people are meant to build something from nothing, while others are more suited to growing a company. While empathy is one of his strengths, parting ways with employees is a necessary evil for the success of a growing company. -Attitude is everything. Mr. Gibbons states that an arrogant, know-it-all worker won't last long at Shyp, even if he/she is great at their job. It disturbs the peace and causes unnecessary distractions. -Shyp acknowledges the importance of making profit, especially to investors who don't want to wait 5 years to see returns. 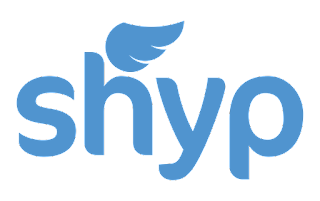 While some companies will grow and grow and grow before ever seeing a dime, Shyp wants to prove its concept, make money, then grow. I found this to be an interesting strategy, as it conflicts with the hyper-growth culture of today's startups. Mr. Gracias did a fantastic job moderating the discussion, while throwing in a story or two about his time spent with Elon Musk, a friend of his since the Paypal days. Mr. Gracias provided some insight from the investment perspective, as Valor Equity Partners is an investor in Shyp, and discussed what he looks for in companies he invests in. He mentioned that he honestly became an investor in Shyp from a recommendation from his buddy Tim Ferris, of 40-hour Workweek fame. He was a true class act. The discussion was highly informative and educational. 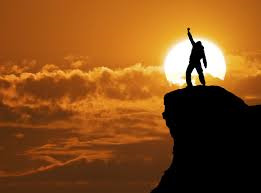 I fully believe in surrounding yourself with high achievers, which will force you to up your game. It is difficult to track down people of this stature in general, so a free discussion like this is invaluable. I walked away truly inspired and recommend that anyone who has a chance to hear highly successful people hold a discussion in an intimate setting to seize the opportunity.